First we would like to wish a Happy Birthday to our amazing PADI Instructor Ben! As Ben turns 34 today what better to do than to write about him so you can all get to know him a little better. Ben Williams was born in 1984 in Poole, in the South of England. He went diving for the first time at the age of 8 in a swimming pool in the UK. After this he was determined that he would become a marine biologist. However as he grew older he believed there was no money to be made in that industry, so instead he decided to go to university and study business law. It wasn’t until he was on his gap year and now 19 years old that he got PADI certified in Australia. After his gap year he went to university and he got his degree in business law. As soon as he graduated he realized that working in this field was not at all what he wanted to do for the rest of his life. So off he went to Thailand, where he became a PADI dive instructor and has been diving ever since. After finishing his training in Thailand he ventured to the other side of the world to the beach town of Playa del Carmen in Mexico. (This is where he met Kay 😉 ) What many of you didn’t know is that in Mexico he continued his training and became a cave dive guide. His new passion allowed him to take guests diving in the Cenotes of Mexico. On his time off he would go and explore the treacherous caves of the Yucatan Peninsula. Ask him about it! He loves to tell stories about places darker than night and tiny restrictions he had to squeeze through. After having spent about 9 months in Mexico, it was time for the next adventure. So off to Central America he went. Backpacking through Nicaragua, Costa Rica and Panama, seeing jungles and oceans and everything in between. Until he stumbled upon a small dive shop in Playa del Coco where he was going to work for just a couple of months. Before he knew it 18 months and a lot of rum had gone by. 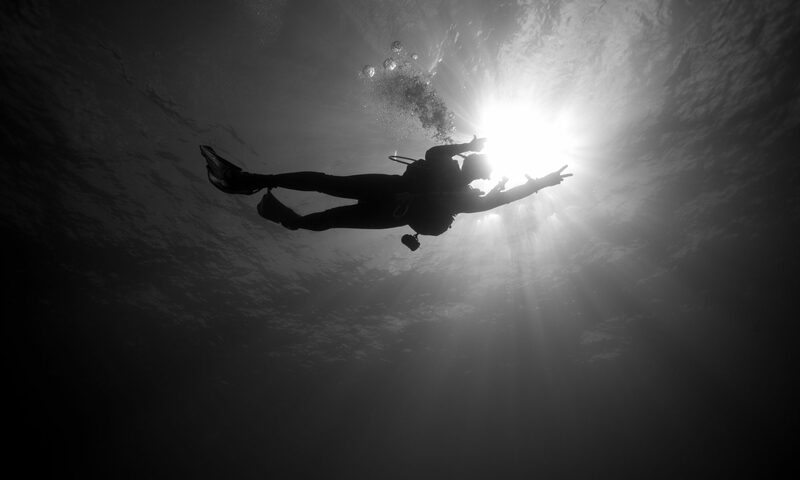 His final adventure led him to Sunchaser Scuba. It was here where he learned to drive boats and taught himself how to maintain the mooring field and maintain our dive boats. It was a steep learning curve, but we couldn’t think of a better jack of all trades to have. Many of you probably knew most of those things, but did you know? Ben has over 5000 dives! How do we know? Because he still logs every dive he does. Ben speaks Spanish. Okay, maybe not fluently, but be careful he can understand you. Ben’s favorite course to teach is the Discover Scuba Diving experience. Ben-isms: Awesome, Amazing, too easy, super. Ben is always happy! For real, even when he is not, he still is! Ben loves his island car, a green 1987 Jeep Wrangler with no doors or windows. Be sure and wish Ben a Happy Birthday shout on our social media!